These images were taken on the last days of winter . And since these pictures are the last of my winter series of Lebanon county, I’m really glad that they came out well. It seemed that the pictures were coming to me instead of me looking for them, this day was really the first time that I could say with a straight face that spring was imminent and was being felt. On the image of the Amish farmer moving the large wagon of hay on to the main road from his farm, I was in my car with the camera ready on the passenger seat. A habit that I’m learning is working in my favor because you never know when something will just come out from nowhere, so I’ve learned to be ready at a moments notice. And its paying off for me with images like that one.As we passed one another, we both gave each other a quick look of acknowledgment . I stopped my car a little after that to see how all of the images looked so far in the camera, and then i started to wonder a little if that Amish Farmer whose image i had just captured a few minutes before thought about why i was taking his picture in the first place?. 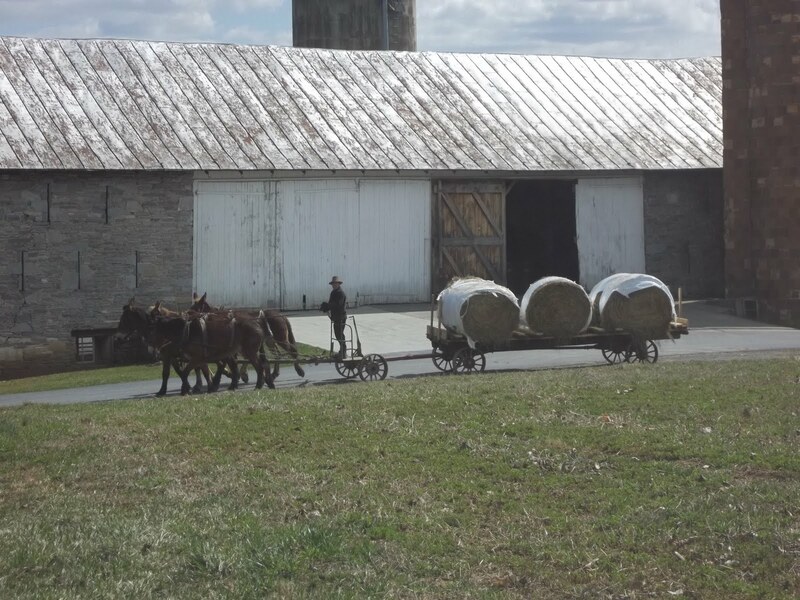 If he were to give it a thought at all, he might have been saying to himself, “why would someone bother to take a simple Amish farmers picture whose only out doing farm chores”?. And i would have told him “that’s why I’m doing it, because of the simplicity in it all”. 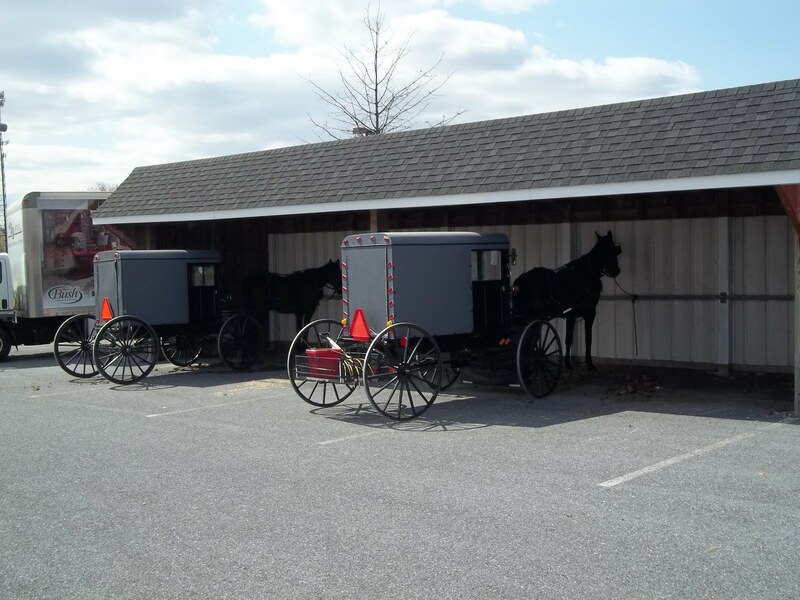 I think that’s one of the quality’s that keeps drawing me to the Amish in the first place, its that view of how we were in simpler times so long ago. I do understand living simple comes with a price. I only wonder if its us that will be paying that higher price in the long run, and maybe losing some of the joys in life that are so very simple. 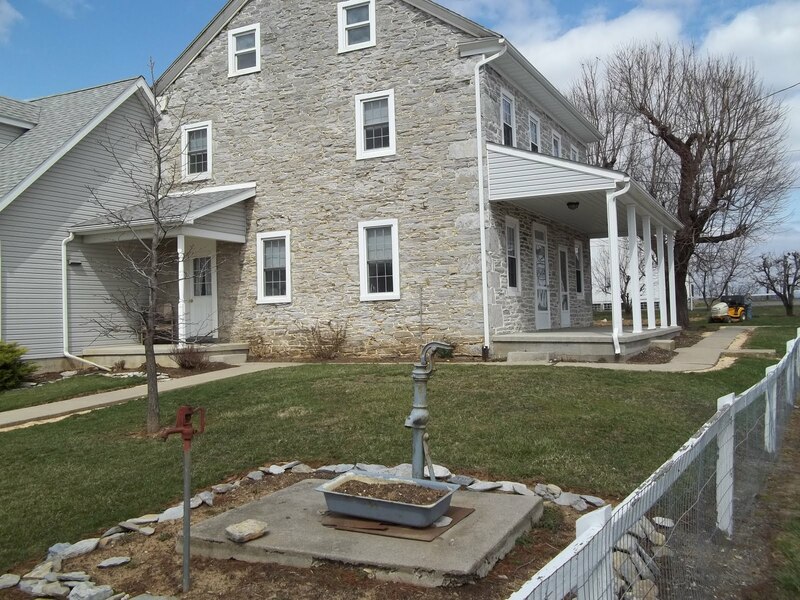 I really love that picture of the water pump outside that lovely stone home In the Amish settlement of Lebanon county. And when I moved to Pennsylvania I was able to take a restored pump from my house that I had in the front of my home in Florida. Its smaller than the one in this post picture, but still retains the same charm and quaintness as its larger cousin. 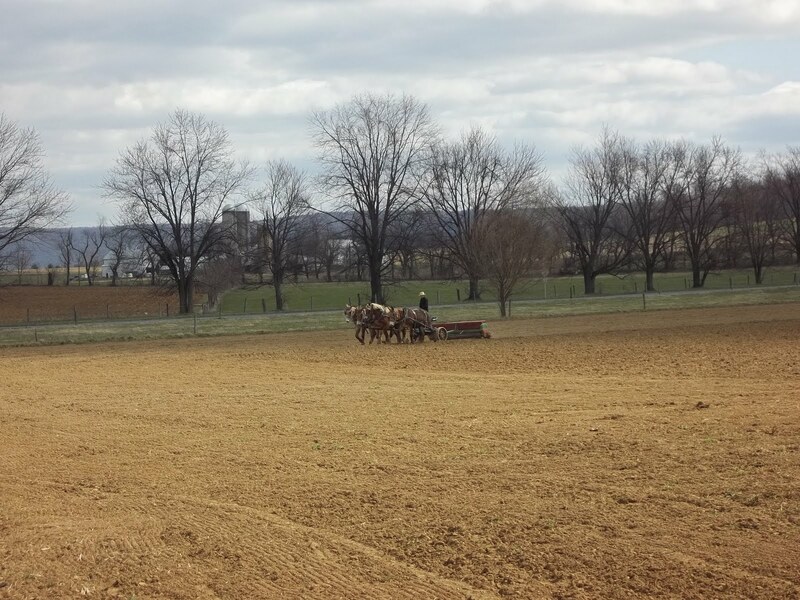 And the last image of the Amish farmer working the land is very fitting because its my last winter shot of the set. I was outside my car, waiting for him to come a little closer and into my frame. 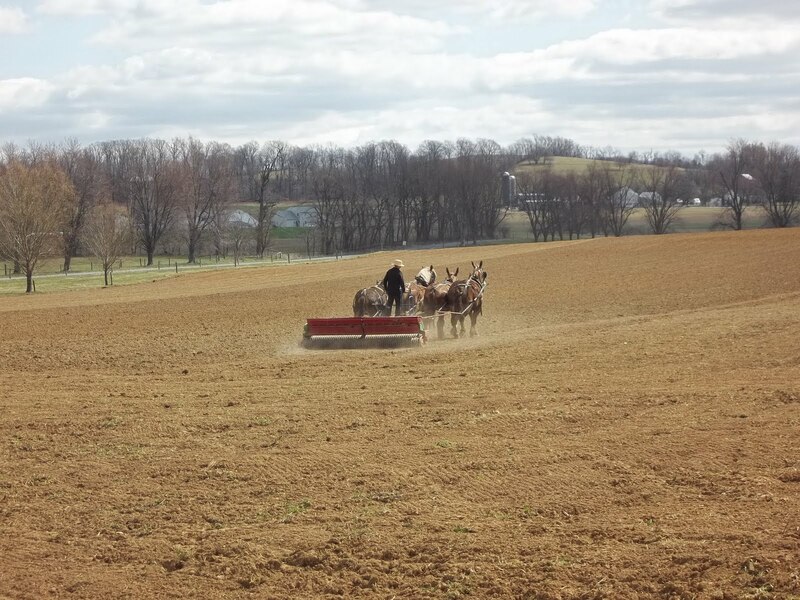 The Amish brought the method of crop rotation practice with them to America from their home land, and its something that has served the Amish and non Amish alike even today. Crop rotation helps farmers control disease by confusing pest that are prevalent when growing crops in soil. so this method is a farming standard over mono-cropping, with the end result being a much more healthier farming soil. (crop rotation source Cornell university. Richard from Amish Stories.